If you see giant rodents in the streets on Joe Cain Day, it’s not due to the wrong mushrooms in your breakfast omelet. 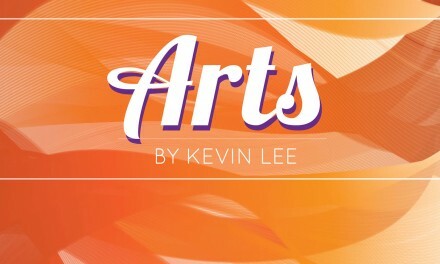 It’s a new twist for supporting Mobile arts in a visible way. 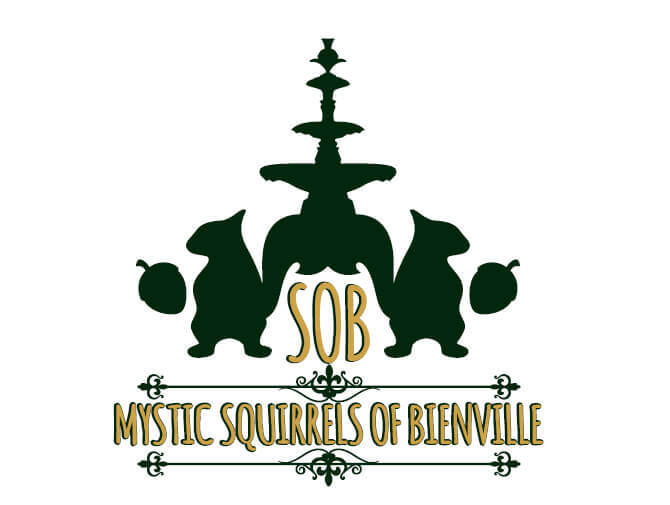 Say hello to the Mystic Squirrels of Bienville, Mystic SOBs for short. The new Mardi Gras organization from the Mobile Arts Council is a combination fundraising and marketing effort set to premiere in the March 3 People’s Parade. The egalitarian procession has boomed in popularity since a kerfuffle over registration subsided in recent years. Coincidentally, another flap involving Government Plaza led to this furry revolution. Artist and Strickland Youth Center Program Coordinator Riley Brenes recalled a 2015 stroll in Bienville Square with fellow artist Shane Reynolds. A TV reporter sought reaction to the city’s proposed $500 fine for feeding Bienville Square squirrels. “We were walking off and Shane said, ‘You know, if the squirrels had anything to do with Mardi Gras they probably wouldn’t bother.’ I was like, ‘Yeah, the Mystic Squirrels of Bienville Square,’” Brenes said. A couple of years later, artist Lucy Gafford’s imagination led her to paint a scene of farming squirrels for downtown Dauphin Street’s urban garden. Brenes saw it and relayed his tale about Mardi Gras squirrels, sparking bigger ideas. Gafford is also programs coordinator for Mobile Arts Council (MAC) so wheels started to turn. Meanwhile, Brenes and his family vacationed out west. At a New Mexico Hopi reservation, Brenes’ wife bought him a kachina doll — a Pueblo Indian deity believed to be connected to natural forces. “They represented the wind or the earth or whatever so nature would bless the tribe. I thought it was such a cool concept because I love culture and learning and I imagined the SOBs tied to that,” Brenes said. They even drummed up an official logo by James Currie, who works for the Mobile County Health Department. Currie also participated in 2017’s Creative Crossings competition on downtown streets. The marriage of elements is perfect for Mobile’s biggest celebration, a uniquely American amalgam of widespread influences. Akin to jazz, a variety of European practices — mummery, Carnival, Masonry — mixed with African and indigenous influences to make something found nowhere other than America. So now, just as New Orleans groups adapted Native American homages for their Mardi Gras Indians, the SOBs look to be an Azalea City twist on the same. But it’s less social club and more nonprofit support. According to an SOB “breakdown” from MAC, marchers “will throw bags of peanuts, cups, beads and any other approved throw. The group will be on foot, bike or roller skates.” There were no specifics available for what “approved throws” entail. Then there’s the matter of garb. The overriding ethos is to keep the event accessible and low-cost. An answer was inherent in the organizers’ skills. Gafford’s costume-crafting workshop will be Sunday, Feb. 17, at 2 p.m. Organizers will provide some raw materials, stencils and a lot of know-how. Participants are asked to provide clothing for the session. Fees are $75 single/$125 couple for MAC members and $100 single/$150 couple for nonmembers. Those fees include the aforementioned masks and costume workshop along with pre- and post-parade private parties with food and drink at MAC (318 Dauphin St., Mobile). Participants must register in person or online by Feb. 15. Membership is limited to the first 100 and you must be 21 or older. 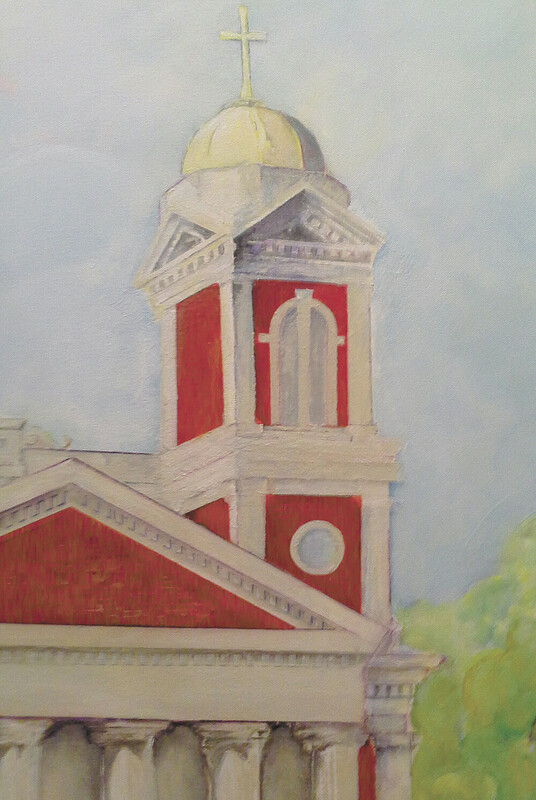 More details can be found at mobilearts.org.